Discount parking for Le Rivage is available at the following parking locations. Click on a location address for more information and to print your parking coupon. 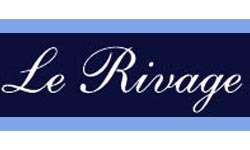 A parking coupon is required to receive these special Le Rivage parking rates, so be sure to bring one with you when you park. Le Rivage is conveniently located near the Broadway Theater District, Times Square, Madame Tussaud's Wax Museum, Rockefeller Center, and Radio City Music Hall.